Bringing baby home can be a scary experience, but these ten tech products can provide you with much-needed peace of mind about the safety and security of your home. New parents are using technology 10 Baby Websites To Help Expecting Parents 10 Baby Websites To Help Expecting Parents Read More more and more to ease their minds when it comes to parenting decisions. A recent Think With Google article showed that expecting parents and new parents use Google twice as often as non-parents for questions ranging from how to change a diaper to exactly how much colleges will cost eighteen years down the line. These trends go to show that for parents today, technology is truly indispensable when it comes to taking care of their babies. Whether you already have a functioning smart home system, or are hoping to enter the smart home world for the first time, know that smart home technology offers solutions to safety concerns that parents have had throughout history. The last thing you want to spend your time worrying about is home intruders or about active toddlers exploring beyond their crib and/or room at night. These products guarantee you some much-needed restful sleep by giving you peace of mind about the security of your nursery. SmartThings is one of the most popular smart home hubs Which Smart Hub for Home Automation Is Best for You? Which Smart Hub for Home Automation Is Best for You? For a while, people thought of the idea as nothing more than a gimmick, but recent product releases have shown that smart home automation is starting to live up to its promises. Read More available to consumers right now, largely because of the variety of sensors that it offers and how seamlessly they interact with each other. The door and window sensors offered by SmartThings are a great way of monitoring whether doors and windows that access your child’s room are open or closed. You may also choose to install these sensors on rooms or cupboards that are off-limits to young children (such as a cabinet full of cleaning supplies or a workshop with dangerous tools). These sensors can be programed to send you text alerts when any of these events happen, taking a few worries off your mind! Knowing whether doors and windows are open or closed is important, but it’s even more important to know if anyone’s going through an open door! Consider installing a motion sensor near your baby’s door so that you know the minute anyone enters the room. 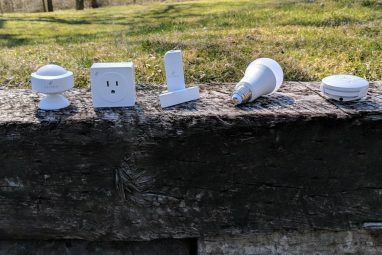 There are a large variety of affordable motion sensors available for every kind of smart home hub – including the multi-purpose Notion sensor ($49 each). Normally when setting up a motion sensor it is advised to place it above pet height, but when it comes to your nursery you may want to consider placing this motion sensor lower so that motion from both pets and tiny people send alerts to your phone. It’s impossible to protect your child from every danger in the world, but some protective measures are so simple that they should be put into place immediately. These alarms and video monitoring systems help you protect your child from preventable dangers and monitor their well-being when you can’t be physically present in the room. You should really already have a carbon monoxide monitor in your home – in the United States alone, over 10,000 people are killed from undetected carbon monoxide leaks each year and laws are already in place in 39 states that require at least one carbon monoxide detector in every private dwelling. Babies are more susceptible to carbon monoxide poisoning than adults, so if you have a little one in the house, this smart home adaptation should be your #1 priority. Nest Protect is a friendly fire and carbon monoxide monitoring system that alters its notifications based on whether you’re dealing with a bowl of burnt popcorn or an emergency situation. Its carbon monoxide sensor lasts for ten years and is the most accurate type of sensor currently available. Carbon monoxide is an odorless, colorless gas that has very subtle initial effects – installing a smart sensor like Nest Protect could save your child’s life. The Wiithings Smart baby monitor is truly the cream of the crop when it comes to monitoring your baby’s safety. The monitor attaches to the head of your baby’s crib, and uses both audio and visual monitoring to alert you of anything and everything that happens after you put them down for the night. 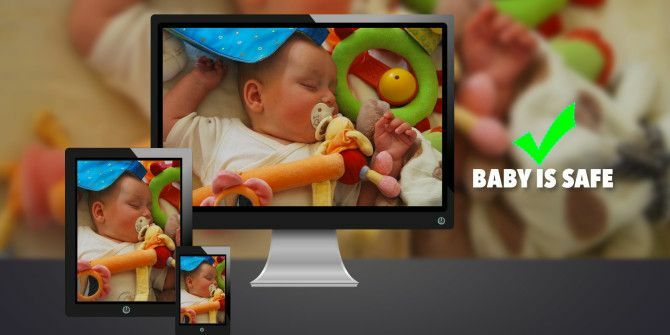 The video and audio feeds are high quality (video zooms up to 4x and the audio should be clear enough that you can hear your baby breathing) and can be accessed from any device with an Internet connection through a protected stream. The monitor can be set to send you notifications if your baby cries or is restless, and infrared night vision LEDs ensure that you can check in on your child even when their room is pitch black. Additional features include a speaker on the camera that allows you to communicate with your baby from the other room, a comforting light that can be turned on remotely, and seven pre-programmed lullabies. While there’s no denying that the Withings monitor seems to have everything a parent could dream of, its price may be a bit steep for your budget. Other comparable models include the Insteon Wireless Baby Monitoring System ($79.99), which offers night vision, two-way communication, and general Internet access. Similarly, the D-Link Day & Night Baby Monitor ($71.99) also has night vision, two-way communication, an iOS and Android app for viewing, and the ability to store photographs and video clips from the stream. 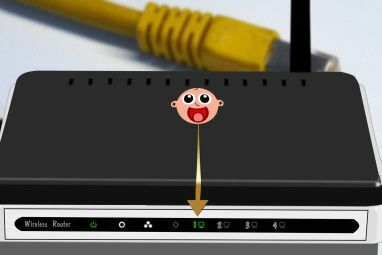 For those who prefer diy, you can also choose to build your own baby monitor How To Build Your Own Baby Monitor How To Build Your Own Baby Monitor If you're a recent parent, you've probably considered getting some sort of baby monitor. You possibly considered the utility of a video monitor and then you may or may not have balked at the exorbitant... Read More ! If you would prefer not to be streaming video of your child/home, you may want to consider something like the AngelCare Deluxe Plus baby monitor ($169.99). This monitor offers both audio and motion sensor alerts that are sent directly to two parent units designated for this purpose. Instead of using video to monitor your baby’s movement patterns, under-the-mattress sensor pads are used instead and will send an alert if it does not detect movement for 20 seconds, or if excessive movement is present. While you may feel more comfortable relying on something that does not use the Internet for monitoring purposes, it is important to note that this makes the product a lot less useful as part of a house-wide monitoring system. Recent developments in technology are completely redefining the way that we think about health. 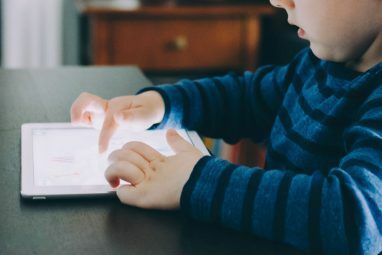 These technologies aren’t quite at the level of Apple’s Health app, but can still give you a better idea of your child’s health, help you to monitor it more closely, and help you prevent some problems from occurring in the first place. The Owlet Smart Sock is a wearable piece of technology designed to monitor infants’ heart rates and oxygen saturation levels while they are sleeping. This technology is exactly the same as that used in finger pulse oximeters at hospitals, and is a reliable and safe way of reassuring yourself that your child is just sleeping very, very deeply. If the sock notices an abnormality in your child’s vital stats it will immediately send an alarm to your iPhone so that you know immediately that something may be wrong. The Pacif-i Smart Pacifier, intended for use with children aged three and under, is a great way of monitoring your baby’s health when they are feeling under the weather. Pacif-i records temperature information from your baby using a thermometer sensor in the tip of a BPA-free pacifier, and sends the information via Bluetooth to your smartphone. The free app allows you to easily visualize your child’s temperature trends and to track of when you’ve administered medication – information that can be invaluable when communicating with your pediatrician. Initially it can be hard to swallow the costs involved with setting up a Smart Home system, especially when babies are already so expensive! However, Smart Homes aren’t as expensive as you think How Much Does a Smart Home Really Cost? How Much Does a Smart Home Really Cost? A smart home could change your life – freeing up time in your day and regulating your routine so you don't have to remember what needs to be done. But how expensive is it, really? Read More , and the peace of mind these innovations can bring are priceless. Children raised in today’s online world Keeping Children Safe In An Online World: 8 Ways To Set Up Kid-Friendly Search Keeping Children Safe In An Online World: 8 Ways To Set Up Kid-Friendly Search The Internet can be a dirty place and you have to take steps to stay safe online, but it can also be a wonderful world where kids can let their creativity and imagination run free.... Read More are going to be immersed in technology from the moment they are born – using some of said technologies to make sure that they are safe is probably a good idea! Have you used any of these systems when monitoring your own children? Would you consider using them in place of the traditional audio monitors? Explore more about: Parenting and Technology, Smart Sensor. I agree with the spirit of the article. Technology can indeed be incredibly helpful, no matter the field of applications, but it also comes with risks. With the glaring holes in the security of Smart Home appliances we should weight risks and benefits thoroughly before trusting technology with the safety of our children. Smart Homes without Smart People are disasters in the making.